46 today, and, oh yeah, more than 1,000 for the year! 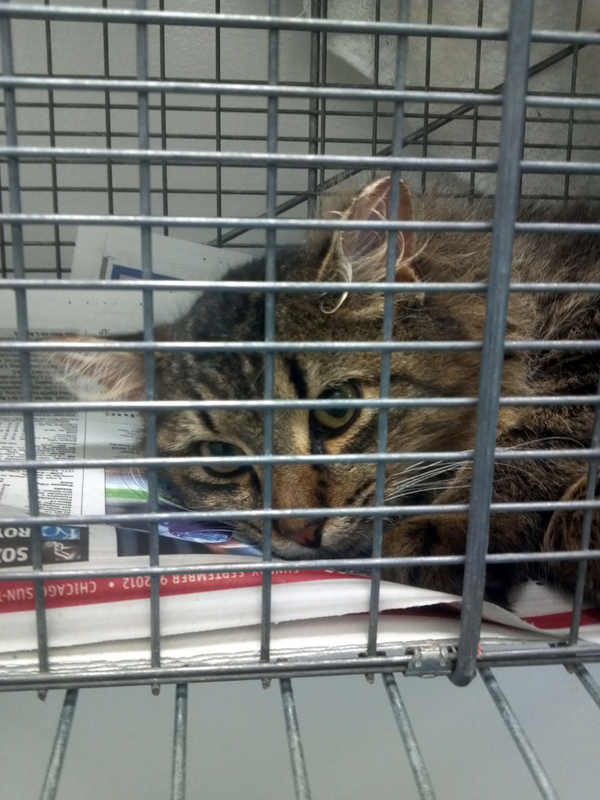 Feral Fixers brought in 47 cats to the PAWS-Chicago Spay/Neuter clinic to be fixed. 30 of these cats were feral while the other 17 were friendlies. This was our second largest single load of the year (back in August we did a trip with 50 cats). Loads this big are very difficult and stressful for everyone involved, but they sure do run up the totals! Lots of help to get this one completed. 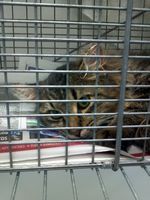 Super-volunteer Jennifer helped me pick up the cats from Tammy's this morning and bring them to PAWS (Thanks Jennifer!) while super-volunteer Stacy helped me pick up the cats at PAWS this evening and bring them back to Tammy's for recovery (Thanks Stacy!). Also, super-volunteer Sue once again loaned us the use of her van so that we could transport all of these cats (Thanks Sue!) And, as always, super-volunteer Judy was at Tammy's both this morning and this evening to help out with all that needs to be done (Thanks Judy!). People have gotten the message that we're going to be shutting down for the season in just a couple of weeks and were bringing in cats from all over. In this load of 47, we had one or more cats from Addison, Aurora, Bartlett, Bensenville, Bloomingdale, Carol Stream, Downers Grove, Glendale Heights, Glen Ellyn, Hanover Park, Lisle, Lombard, Naperville, Oak Brook, Roselle, Streamwood, Villa Park, Warrenville, Westmont, and West Chicago - more than half of the municipalities in DuPage County! Also of note is that this load included our 1,000th cat for the year, Tyco. He is shown recovering from surgery in the picture thumbnail (click on the thumbnail to see a full size picture). This is the third year in a row that Feral Fixers has fixed more than 1,000 cats and we are on are way to set yet another yearly record. One of the cats was already spayed, so a total of 46 cats were fixed in this trip. This brings our November total to 102, our yearly total to 1,021 and our overall total to 4,526.